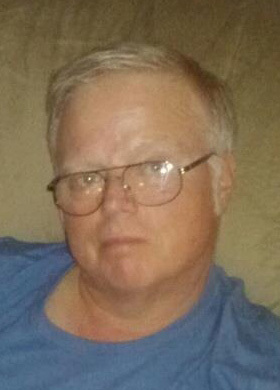 Bulls Gap: Samuel Luther "Sammy" Garber, III, age 59, of Bulls Gap, went to be with the Lord Tuesday, November 20, 2018 following an extended illness and heart complications, He attended Henard's Chapel Missionary Baptist Church. He was preceded in death by his parents, Sam and Virginia Brooks Garber; sister, Donna Jo Best; nephew, Quintin Kennedy Best; mother-in-law and father-in-law, William and Patricia Hough. He is survived by his loving and faithful wife of 33 years, Penny Sue Garber. Their love was strong having only one daughter, Katherine Jean Kennedy who was the light of his life and her husband, Joshua Micheal Kennedy, who became his friend, buddy and son; son, Jimmy Garber, who he loved wholeheartedly; granddaughters, Kate Jean Kennedy and Jaylen Mychal Kennedy, who were papaw's pride and joy; sisters, Mary Ellen Garber (Emory Linkous), Samantha Leta Bradley (Curtis Spriggs), all Rogersville; brothers-in-law, Bill Hough, who had been his right arm for the past three years when Bill moved South, and Jim Hough of MI; nieces and nephews, Tammy Best, John Best, Bobbie Grayham all of MI, Casey Jo Ann Spriggs and Joshua Curtis Spriggs, both of Rogersville, Sherry Hough of Dayton, TN; several great-nieces and great-nephews. Visitation hours will be 5:00 P.M. to 7:00 P.M., Friday, November 23, 2018 at Broome Funeral Home, Rogersville. Funeral service will be conducted 7:00 P.M., Friday, November 23, 2018 in the funeral home chapel with Pastor Rick Dinkins officiating. Graveside service will be 11:00 A.M., Saturday, November 24, 2018 at Brown's Mountain Cemetery. Broome Funeral Home, Rogersville is honored to serve the Garber family.